Home » Columns » Abracadabra By K. B. Ganapathy » Dynastic Democracy ? Actors, sportspersons and athletes change their roles seamlessly, smoothly when their top-form, heydays, of glory begin to fade and they appear before us in a different avatar. One such among many is Ashwini Nachappa, a former athlete, an accidental film star and the one who has done proud to Kodava community. I share this pride because I too belong to this community. Let it be. Ashwini Nachappa whom I had met only once, that too in an unlikely place of Visa Office in Bengaluru a couple of years back, is indeed an affable person to talk to sans the burden of her golden days of name, fame and money. I know she writes a column for The Week magazine and I read her column selectively depending upon the subject. Her column in the January 7, 2018 issue of The Week titled “70 years of Rajas and Ranis” is the one that interested me. First, for its theme and second for her clinical analysis of Indian democracy rooted in thousands of years of feudalistic mindset. The inference is that this democracy defined by dynasty is one of the reasons for the staggering, slow growth of progress in all walks of life, including sports and games. She must know. Well, the idea has become a country! But the pseudo-secularists and the left-ideologues are still toying with the idea of India as a mere idea and not one Hindu majority country. Worse, their prognosis that this country, in time to come, would be fragmented as it was for thousands of years when ruled by Kings belonging to dynasties or families. These are the Prophets of doom but there is some truth in their fears. Be that as it may, the rightists believe that it is the wish of the leftists and the minority. — M.V. Kamath, renowned journalist and author. Voters in our democracy are still under the spell of feudalism, accepting dynasties and families as their leaders. This seems to be the reality according to the article. Which is why “those who are ‘democratically’ elected to govern become the new Rajas and Ranis as we have seen across all spheres of living in our country in the past 70 years.” That is since independence. It is, therefore, not surprising that David Selbourne, journalist, has famously declared that “The Indians may have a vote but they are not represented.” How true! READ ALSO Heaven knows the Sinners... but time and chance may happen to BJP also! This undemocratic trend, in the name of democracy, is seen in the manner we elect our President and the Prime Minister — indirectly and on consideration of family or dynasty, opine some Pundits. And here is the truth. Knowing that our people have been ruled for thousands of years by successive generations of families and dynasties and as a result are mentally conditioned to accept such rulers, the post-independence rulers had a patriotic and moral responsibility. That responsibility is, those who have come to occupy power under democracy, like for example Nehru-Gandhi dynasty or families, should have worked to change the mindset of the people through proper education, new policies and above all by personal example of discarding perpetuation of family rule. Sadly, “one family did everything to keep the same old conditioning to continue. And clearly it has served the family and the party well.” I am sure, you have guessed the family and the party. Soon, there appeared in different States of our country leaders who followed the first family of Indian democracy. This trend lasted till 2014 when BJP (NDA) came to power and put India first and the family interest last. 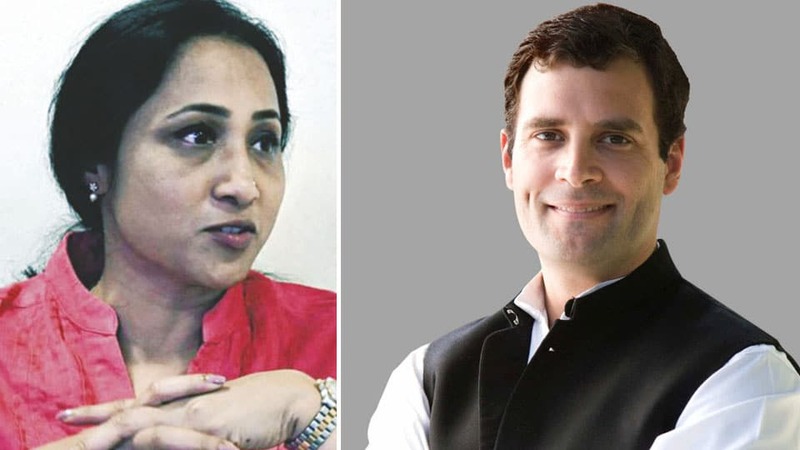 The fact that Rahul Gandhi was unopposed for the post of the President of the Congress Party, says Ashwini Nachappa, is a sign of the same trend of kowtowing to a family rule like in the past thousands of years ago in the Indian subcontinent. What surprises me is that the senior members of the Congress Party, among them those highly educated and achievers in their own profession of prestige with qualifications from Cambridge and Harvard, meekly submitting to the dynasty that has no leadership quality to lead the world’s biggest democracy that India is. It is time we reinvented democracy, jettisoning a thousand years’ mindset, to suit the 21st century idea of Liberty, Freedom of Choice, Equality and Fraternity. Jai Hind. India don;t have democracy, nothing but hypocracy. Dynastic Democracy is termed as refined Dictatorship for those who does not know and those who practice. This cannot be and should never be given a country with 1300 crores of valuable people. Even nature has a choice to select the best, then why we are stuck?